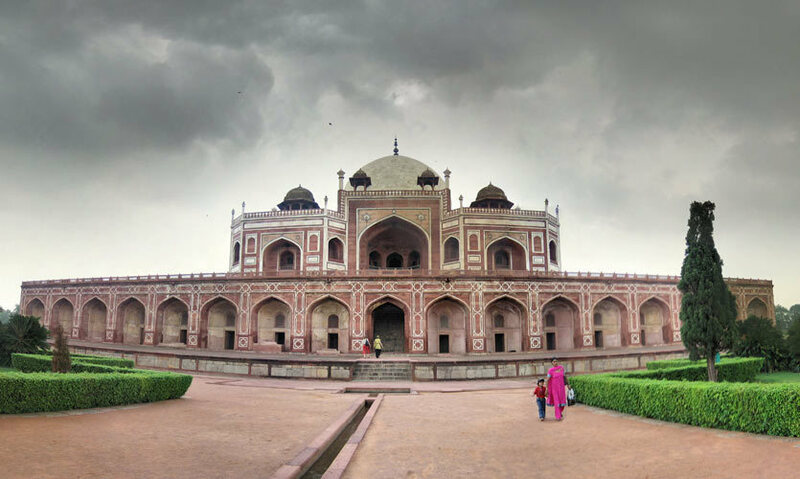 A UNESCO World Heritage Site & Dilli Di Shaan, Come Follow Us To Humayun's Tomb! 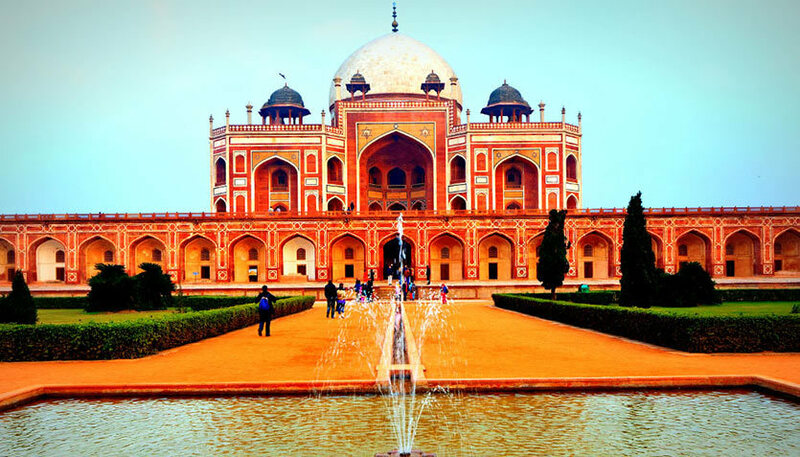 One of the most significant historical places that exemplify the rich cultural heritage of Delhi, Humayun&apos;s Tomb is a UNESCO World Heritage Site and an architectural structure which inspired the creation style of the Taj Mahal. It is spread over a vast expanse of land in the Nizamuddin East area of Delhi & is a must visit on any traveller’s itinerary in Delhi. Built in the true Persian style of architecture, with the main structure surrounded by lush gardens on all four sides, Humayun’s Tomb was the first monument of its kind to be built in India, henceforth paving the way for countless other structures built in the same style all over the country. The complex houses the tomb of the second Mughal Emperor Humayun, in addition to many other Mughal rulers & their kin. The entrance to the complex leads up to a few lesser known monuments such as the Tombs of Isa Khan & Bu Halima, and a mosque. Further down the path is the West Gate - the main entrance into Humayun&apos;s tomb-garden. An exhibition has been put together at the gate, showcasing the restoration process of the mausoleum and neighbouring sites and giving an insight into the great visionary emperor. Rare snapshots of the tomb dating back to the 17th century, the site plan and a handcrafted model of the entire area as it is envisioned to look like after the completion of restoration are on display. The tomb of Humayun, in the midst of spacious gardens and water fountains, is an architectural marvel in itself! Large quantities of red sandstone and marble went into its construction, commissioned by the emperor’s wife Hamida Begum a few years after his death in 1556 AD. The structure has a characteristic huge marble dome on top, whose loftiness is balanced by the numerous smaller canopies surrounding it. The structure is built on a raised platform reachable from all four sides by lofty flights of steps. At the centre of the inner chamber stands the marble cenotaph of Humayun, while his grave lies in the basement below - a method of building tombs that was characteristic of Indo-Islamic architecture of the time Surrounding the main chamber is a series of chambers, all constituting an elaborate floor-plan encompassing two storeys. A panoramic view of the whole structure is a real treat to behold. Far away in the distance, one can even see the tall white spire of Gurudwara Damdama Sahib, another popular tourist attraction in the city. The monument was built in close proximity to the dargah (mosque) of the celebrated Sufi saint Hazrat Nizamuddin Auliya, as it was a popular belief amongst the Mughals that getting buried near a mosque ensured smooth passage into a great afterlife. No wonder you’ll find every Mughal ruler of fame buried close to a dargah! 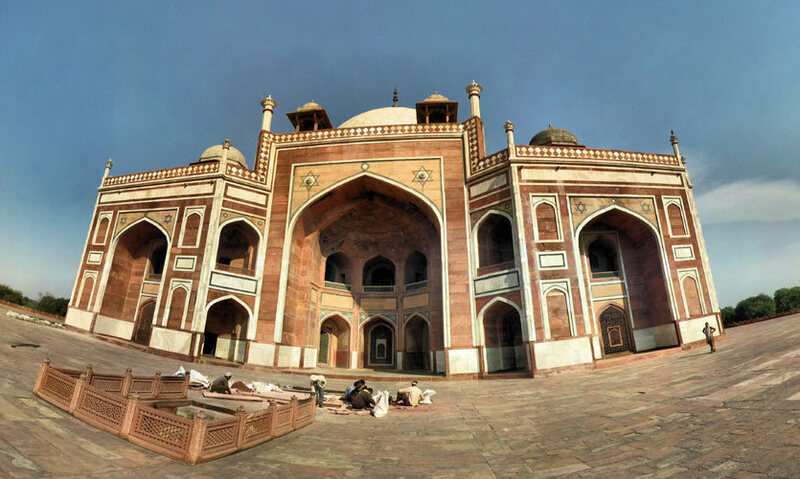 The Tomb is also often referred to as the ‘Dormitory of the Mughals’ having over 160 Mughals buried in the premises. Humayun’s Tomb is a short drive/auto ride away from the Jangpura Metro Station. The best time to visit the place is on a cloudy day, as its real beauty actually emerges in the rain. Statutory Warning: Given the vast area it covers, come geared with a bottle of water and walking shoes to explore the charm of the place in its entirety! See you there.